Wild Hog, Feral Hog, or Wild Pig problems are undoubtedly a growing problem in over 30 states across the U.S., and are estimated to do 1.5 Billion in damages annually. Many cities and residents are often left trying to come up with management plans as numbers and damage increase yearly despite state and federal control programs. With Private sector help, large scale control programs around the greater Nashville area are needed in dealing with this invasive species. 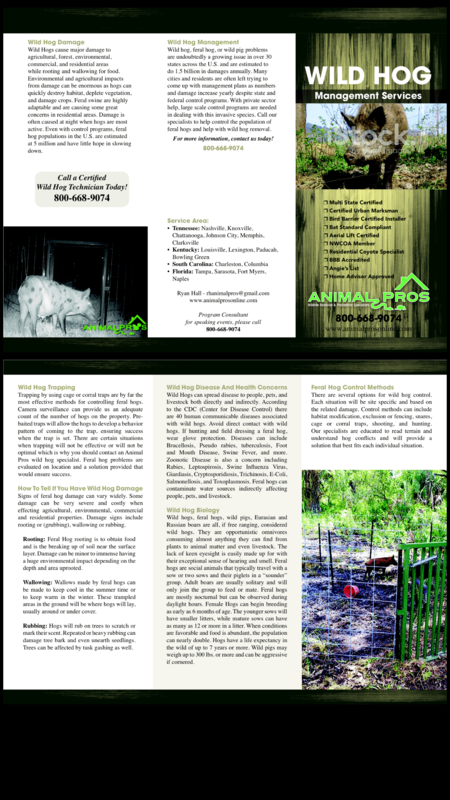 Call our Animal Pros specialists to help control the population of feral hogs and help with wild hog removal. Wild Hogs cause major damage to agricultural, forest, environmental, commercial, and residential areas while rooting for food, destroying vegetation, crops, and gardens. Damage to farmland, native wildlife, and livestock can be immense. Feral swine are highly adaptable and are causing some great concerns in residential areas. Damage is often caused at night, when hogs are most active, leaving the aftermath of the destruction to be discovered the next day. Even with control programs, Feral Hog populations in the U.S. are estimated at 5 million, and has little hope in slowing down. Environmental and Agricultural impacts from damage can be enormous as hogs can quickly damage habitat, deplete vegetation, and damage crops. 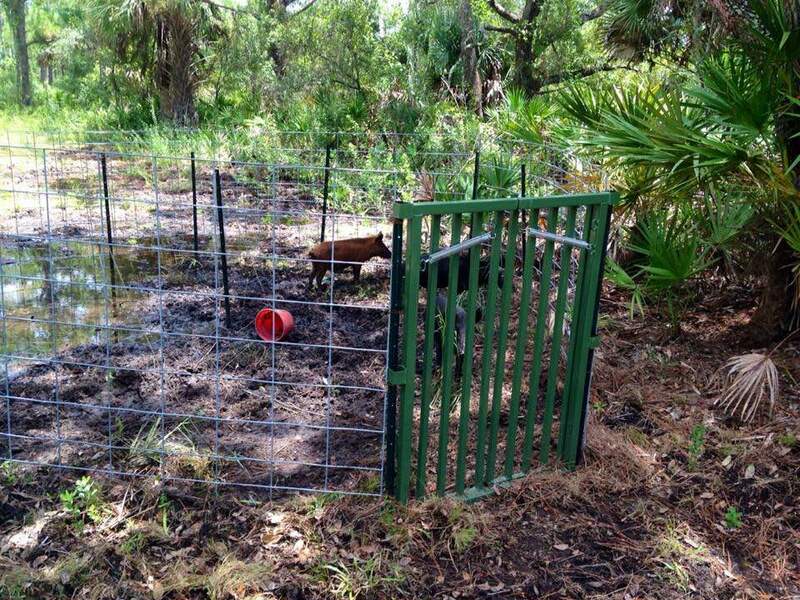 Trapping Measures using cage or corral traps are by far the most effective methods for controlling feral hogs. Camera Surveillance can provide us a adequate count of the number of hogs on the property. 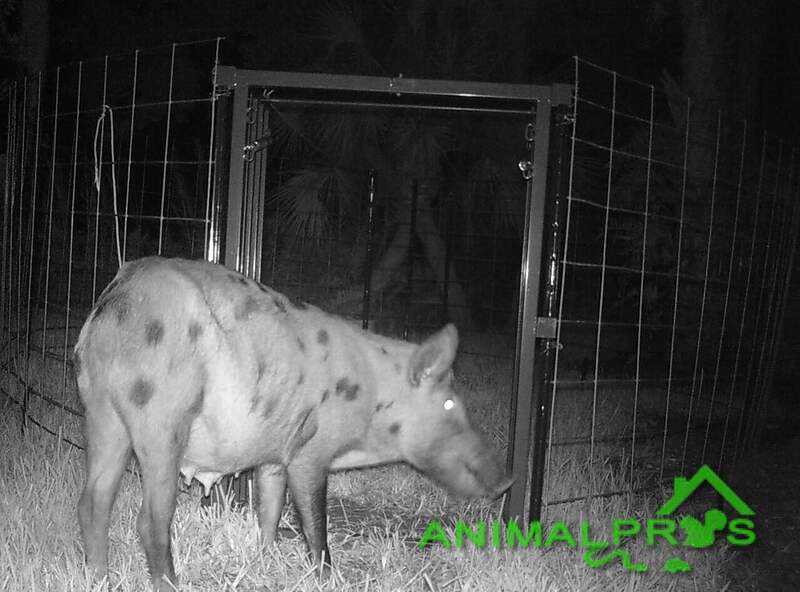 Pre Baited traps will allow the hogs to develop a behavior pattern of coming to the baited trap, ensuring success when the trap is set. There are certain situations when trapping will not be effective or will not be optimal which is why you should contact a Nashville Animal Pros wild hog specialist. Feral hog problems are evaluated on location, and a solution provided that will ensure success. Signs of Feral Hog damage can come in a variety of different ways. Some damage can be very severe and costly when effecting agricultural, environmental, commercial, and residential properties. Damage signs include Rooting or (Grubbing), Wallering, or Rubbing. Rooting: Feral Hog rooting is to obtain food, and is the breaking up of soil near the surface layer. Damage can be minor to immense environmental impacts depending on the depth and area uprooted. Wallering: Wallows made by Feral Hogs can be made to keep cool in the summer time, or to keep warm in the winter. These rooted areas in the ground will be where hogs will lay, usually around or under cover. Rubbing: The rubbing of trees by wild hogs are scratching or scent marking posts. Repeated or heavy rubbing can damage tree bark, and even unsoil seedlings. Trees can be affected by tusk gashing as well. Wild Hogs can spread disease to people, pets, and livestock both directly and indirectly. According to the CDC (Center For Disease Control) there are 40 human comunicable diseases associated with wild hogs. Avoid direct contact with wild hogs. If hunting and field dressing a feral hog, wear glove protection. Diseases can include Brucellosis, Pseudorabies, tuberculosis, Foot and Mouth Disease, Swine Fever, and more. Zoonotic Disease is also a concern including Rabies, Leptospirosis, Swine Influenza Virus, Giardiasis, Cryptospiridiosis, Trichinosis, E Coli, Salmonellosis, and Toxoplasmosis. Feral Hogs can contaminate water sources indirectly affecting people, pets, and livestock. Wild Hogs, Feral Hogs, Wild Pigs, Eurasian and Russian Boars, are all if free ranging, considered wild hogs. They are opportunistic omnivores consuming almost anything they can find from plants to animal matter, and even livestock. The lack of keen eyesight is easily made up for with their exceptional sense of hearing and smell. 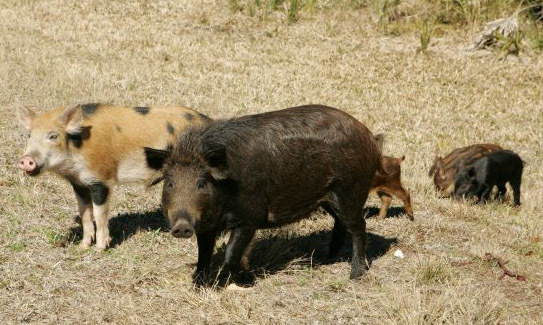 Feral Hogs are social animals, which typically will travel with a sow or two sows, and their piglets in a “sounder” group. Adult Boars are usually solitary and will only join the group to feed or mate. Feral Hogs are mostly nocturnal, but can be observed during daylight hours. Female Hogs can begin breeding as early as 6 months age. They younger sows will have smaller litters, while mature sows can have as many as 12 or more in a litter. When conditions are favorable and food is abundant, the population can nearly double. Hogs have a life expectancy in the wild of up to 7 years or more. Wild pigs may weigh up to 300 lbs or more, and can be aggressive if cornered.